In about a week’s time, anyone who’s never seen a Taika Waititi movie before is going to instantly become a fan. 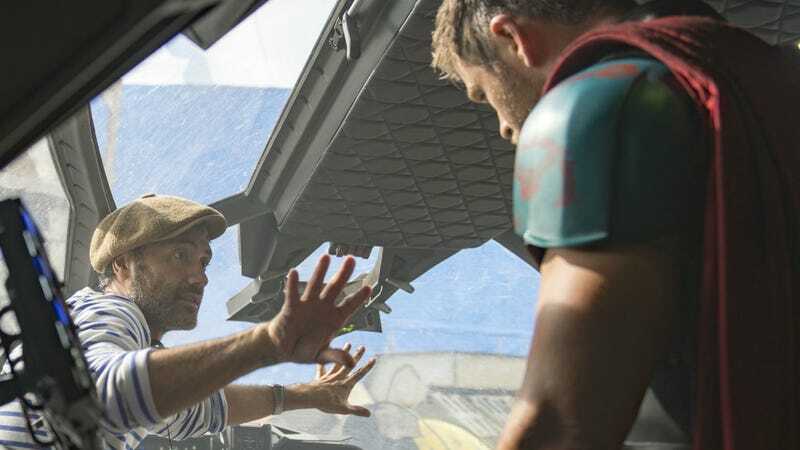 Thor: Ragnarok is that kind of game-changing, big-budget Hollywood debut, and it’s opening up a lot of doors for the director. The biggest one is that he’s reportedly considering directing the live-action Akira film, which Warner Bros. has been developing for years. Whether that happens or not though, things aren’t looking as good for We’re Wolves, the long-rumored sequel to Waititi’s amazing vampire comedy What We Do In the Shadows. We spoke to Waititi today about a lot of good Thor stuff, which you’ll be reading soon, but also asked him if he had a personal connection to Akira. Here’s his response. My mom took me to see Akira in the cinema in 1989, or whenever it came out in New Zealand, and it was a huge turning point in my life for what I imagined animation to be and realizing what it could be. It’s stuck with me this whole time and I feel, visually, the film was such an amazing thing. So I read the [comic] books and I was always more curious as to what a broader adaptation of the books might look like instead of a remake of the film, which doesn’t need to be remade. But I do feel there could be a cool live action adaptation of the books. But while his connection to that film is still uncertain, it seems possible it could be his next movie. And even if it’s not, his next film will almost certainly not be We’re Wolves, the werewolf-centric sequel to What We Do In the Shadows. That doesn’t quite inspire confidence, but at that pace, in a few decades, maybe they’ll have a short film to show for it. Waititi’s latest film, Thor: Ragnarok, opens November 3 in the US. We’ll have many more of his thoughts on that film very soon.